Have you ever wanted to jam and your friend doesn't have a pick, or a pick they really like? Well we have a solution for you. 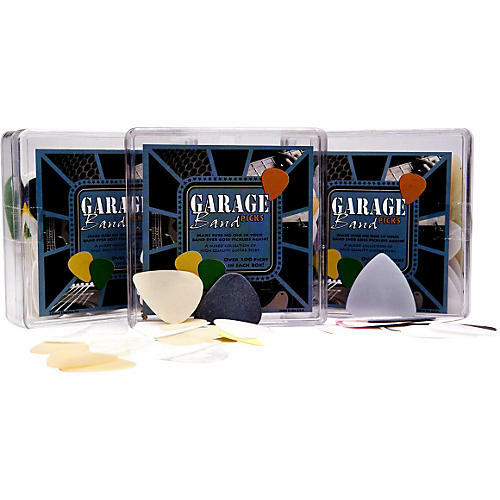 Each plastic case of Garage Band picks contains over 100 mixed picks. Inside you will find all kinds of different gauges, colors, and shapes. Anyone is sure to find a pick that they love. The picks are all made out of the highest-quality materials on the market today.